Simply put, working parents need reliable and affordable childcare. It’s considered a necessity in today’s society. But there isn’t necessarily one type of childcare that’s right for every family. With so many options available to today’s families, it can be difficult to know which kind of childcare arrangement will serve your needs. But if you thought that day care centers should be at the top of your list, you might want to rethink your strategy. While there are some high-quality daycares out there, these arrangements are not always in the best interests of both parents and children. There may be some viable daycare alternatives you’ll want to consider after you read through today’s post. The staff might not be as qualified as you’d think. Although some day care centers do promote the presence of staff members with advanced degrees and childcare experience, you don’t always have absolute control over who cares for your child. Daycare staff members may come and go on a frequent basis, with some facilities choosing to hire anyone with a limited background in caring for toddlers. These staff members may be perfectly lovely people, but they might not meet your own qualifications due to their level of experience (or lack thereof). What’s more, you might not always be told about changes to staffing or be informed about the credentials of a given staff member. When you enroll your child in preschool, however, you can rest assured that staff members have the training, knowledge, and the first-hand experience to provide a high-quality education to all young students. There might be too much screen time. Ultimately, day care centers are not meant to provide educational stimulation for young children. They’re meant to provide care, supervision, and fun. Through these activities, natural development will occur. But the main focus is not educational. Therefore, staff members might rely on activities like television or screen-based games to keep young children occupied and quiet. That’s not always the case in an everyday care facility, but it may be a concern for parents who are making an effort to limit screen usage at home. If you’re looking for a facility that will provide mental, emotional, social, and physical development, you may want to consider having your child join the three-quarters of young children in the U.S. who participate in a preschool program instead. There’s a lack of communication between staff and parents. 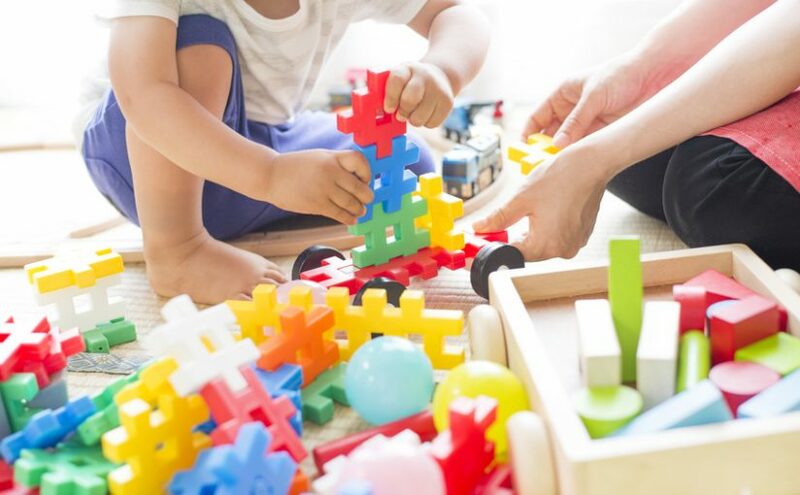 Before you choose your childcare facility, it’s essential that you closely examine the philosophy of the program and ask about its level of communication. Ideally, the lines of communication should be kept open between family and staff, as this is one of the best ways to ensure your child is adjusting and progressing. Daycare programs might not always prioritize these communications. Alternatively, staff members might be overworked or inexperienced enough that they cannot provide the information to families in the way they should. There are exceptions, of course, but it’s essential for families to probe for information prior to enrolling their child in daycare or preschool if your aim is to stay up-to-date with your little one’s benchmarks. While many of those updates are built in within a preschool setting, the same cannot always be said for daycare programs. Your decision pertaining to childcare should depend on the individual facility itself, rather than the generalizations about the type of arrangement. However, it’s important to become familiar with the potential advantages and drawbacks of certain facilities so your family can make an informed decision. As this post shows, there may be considerations you hadn’t considered that might make you pause prior to enrolling your child in daycare. To find out more about why our preschool programs are beneficial alternatives to daycare centers, please contact us today. Preprimary classes, which encompass nursery school, preschool, and kindergarten, offer educational enrichment for children. Between 1990 and 2013, the percentage of children three to five years of age who participated in these types of programs rose from 59% to 65%, with the entire growth period taking place between 1990 and 2000. As of 2015, approximately 51% of these children attended all-day programs. Because of the rising demand for these types of programs, the employment rate for preschool teachers is expected to increase by 10% between 2016 and 2026. This is a faster growth rate than the average for all other occupations. With 75% of young children in America currently attending preschool, it’s important to ensure that the experience enriches your child. After finding the right preschool and enrolling your child, these are three of the areas in which the program you’ve chosen will benefit them, according to GreatSchools.org. Development of Language, Pre-Math, and Motor Skills. The vocabularies of children aged three to five grow from 900 to 2,500 words, and they begin forming lengthier, more elaborate sentences. Preschool teachers promote this process by incorporating new vocabulary into their lessons and by encouraging children to tell stories, sing, and ask and answer questions. A good preschool program also gives children opportunities to be active by running, climbing, and playing games requiring physical activity. Fine motor skills are also improved by using scissors or stringing beads. The development of balance and good hand-eye coordination is also stressed. When preschool children engage in games that involve counting or sorting, that prepares them for math in the future. Board games and puzzles also help children solve problems and recognize numbers and patterns. Development of Emotional and Social Skills. Preschool programs foster trusting relationships with other children and adults that aren’t family members. Children also learn how to manage conflicts and emotions appropriately with the help of their preschool teacher. The classroom lessons also teach children the importance of self-respect and respect for others, and they learn how to interact in group situations. Development of Imagination and Curiosity. Children are naturally very curious and imaginative, and the best preschools fuel these qualities through imaginary play and other types of role-playing games. By finding the right preschool for your children, they’ll be inspired to explore their innate curiosity and imagination. 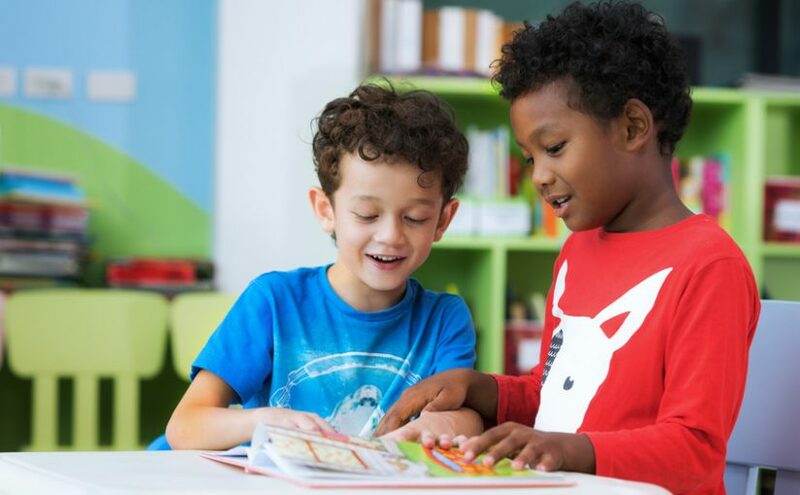 In addition, the language, pre-math, social, and motor skills they develop will prepare them for success in primary school, and provide them with the ability to make their imaginings become a reality. Preschool vs. Pre-K: What’s the Difference? By 2013, the percentage of five-year-olds enrolled in preprimary programs (such as preschool, nursery school, and kindergarten) amounted to 84%. While these kinds of programs are considered essentials by most parents, not all families are quick to agree on which are the right types of programs for their children. With so many options to choose from, this decision-making process can be extremely confusing. Should you enroll your child in preschool or opt for pre-K? And is there really that much of a difference between the two? We’re answering some of those questions in today’s post. What Do Preschool Programs and Pre-K Classes Have in Common? Although these two types of programs are not synonymous, they do share certain traits. They both fall under the preprimary category, meaning they’re intended to promote kindergarten readiness in young children. In many cases, both pre-K and preschool curriculums will embrace the importance of play, discovery, and hands-on experiences to encourage learning. Each may involve activities like music, dance, art, dramatic play, and some academic activities. Both provide a safe setting for skill development and social opportunities. And in most cases (though not all), both types of programs are considered to be optional. How Do Preschool Classrooms and Pre-K Courses Differ? There are distinct divergences between these two kinds of programs to keep in mind. When you enroll your child in preschool, you can do so when your child is three, four, or five years old. It often depends on their ability to meet certain preschool requirements and independent benchmarks, rather than an exact age. It’s seen as the first step toward preschool learning, which means that the preschool curriculum typically serves as an introduction to these concepts. Most preschools are privately owned and operated, meaning that families are responsible for paying the costs associated with tuition. Although there are some full-day preschool programs, many facilities offer half-day programs to benefit both children and their parents. Pre-K, on the other hand, is geared towards slightly older children who will soon be entering kindergarten. While there may be some overlap in age, most pre-K students are four or five years of age. The curriculum is a bit more structured and geared towards developing the skills required to make a smooth transition into school. That’s because young children are tested for the skills they’ve acquired before they’re able to enter kindergarten. Most pre-K programs are full-day programs; although some are private, others are run by the school district and receive state funding. In certain cases, pre-K may be a requirement for young children, which is usually beneficial. Some families may not actually need to choose between these two options. While some children may be ready for school after attending only a pre-K program, others may not acquire all the skills they need through pre-K alone. That’s why many families opt for both preschool and pre-K to set their children up for a high chance of success once they start school. If your district is one that actually requires pre-K enrollment, you may still want to enroll your child in preschool first. This can help them to not only develop the educational skills they need later on, but it can also provide valuable social and emotional tools that can prepare them for life. Whether or not pre-K is essential, preschool can play a powerful role in your child’s formative years — and that’s an opportunity your family will want to carefully consider. American parents undoubtedly feel a lot of pressure to choose the right preschool. But knowing when to start researching or when to tour a preschool isn’t the same for every family. Nor is the “correct” age to start attending preschool. Each child has different abilities and different needs, making these decisions immensely personal — and often confusing. In today’s post, we’re sharing some tips that can help guide parents in the right direction and ensure their children feel ready once they get in the preschool classroom. Some parents start conducting research or will even tour a preschool very early on in the process. In extreme cases, parents might have their sights set on a competitive preschool program from the time of their child’s birth or early in their infancy. That’s not typically necessary, however. Most experts agree that you can begin your preschool search at the start of the year during which your child will turn three. The exact time does depend a bit on the type of preschool you’re looking for and the individual school’s policies pertaining to age of enrollment. But if you want to enroll your child when they’re three years old, you’ll want to start looking at least eight months to a year prior to when school will begin. Once you narrow down your initial research, you can tour a preschool (or several) on your list and begin the applications process. Preschool readiness looks different for every child, but there are some requirements for preschool of which parents must be aware. Your child will likely need to be potty trained and preschoolers will fare much better in preschool if they are able to listen to and follow directions and can express themselves in ways that are easily understood by adults outside of the home. You’ll also need to assess whether your child has the physical and emotional capability for preschool; while 51% of three- to five-year-olds who attended preschool in 2015 were enrolled in full-day programs, children who still require two naps per day probably need to hold off another year before attending school. Your child should also show some promise of independence and should be able to be separated from you (at play dates or at a relative’s house) for a considerable amount of time. If your child isn’t able to do much without constant direction from a trusted adult or spends the entire day without you in tears, it might be best to consider waiting until they display more signs that they’re ready for this adjustment. Once you tour a preschool, decide on that choice, and decide your child is ready to make that transition, you’ll still need to help your little one prepare for the journey. In the months and weeks leading up to their first day of preschool, you can ease them into their new routine by giving them a preview of what it’ll be like to be out of the house and in a new environment all day. You might sign them up for a fun class at the library or may get them used to getting up early, eating breakfast, and getting ready for a day out. You can read lots of books together (especially about going to school for the first time! ), go to the school to meet their teacher and explore the space, and get to know some of the other children who will be attending school with your own. Be sure to encourage their independence and to give them a little bit of space so they can practice what that’ll be like. Don’t be discouraged if it still takes your child a while to get the hang of things; change is never easy, even for adults! If you give them lots of encouragement, support, and love, they’ll prove just how resilient and adaptable they are. We hope this post puts your mind at ease about preschool preparation. To learn more about our preschool programs and how they can help set your child up for lifelong success, please contact us today. Give Your Child A Head Start In Preschool With These Social Tips! Preparing your child for preschool seems like hard work, but it’s easier than it seems. Along with the necessary supplies, don’t forget these important preparation tips to give your soon-to-be preschoolers a head start. This is particularly helpful when it comes to challenging situations. Unfortunately, your child’s life won’t always go smoothly. Encourage independence by allowing your child to complete tasks on their own. This includes simple tasks, like teaching them how to dress. While they may need assistance, they should be given the opportunity to do as much on their own as they can. You should also experiment with leaving your child alone for short periods of time. Luckily, there are plenty of half-day preschool programs if your child isn’t ready to commit to a full day of learning just yet. While this isn’t a huge issue for children in large families, socializing doesn’t come naturally for some preschoolers. Many are nervous to begin a new chapter of their life, especially on the first day. Try to combat feelings of isolation by giving them avenues for socialization. Whether that means taking them to a quality daycare before preschool or setting up play dates with other moms, introducing them to new people is the best way to get them comfortable for academic preschool programs. Luckily, the U.S. has around 14,000 day and summer camps on top of the daycare options you may have already considered. This will allow your child to form empathic connections with others and learn the basics for polite interactions in preschool. For particularly nervous children, meeting the teacher beforehand will put your child at ease on the first day. Instead of a room full of strangers, your child can look to the front of the preschool and see a familiar face. Bring your child to tour a preschool or by letting them play on the school grounds before the first day. Getting your child ready for preschool is more than just registering them. When you are ready to enroll your child in Learn and Grow Academy, try these tips before the first day. In the U.S., around 75% of young children participate in preschool programs. However, not all preschools are the same. While there are undoubtedly several highly rated preschools in your area, there may be some that aren’t quite up to par. How can parents tell the difference between the reputable schools and the ones they should steer clear of? Knowing what to look for in a preschool is important — but you’ll also want to recognize the warning signs to cross certain schools off your list. When you tour a preschool, be sure to look out for these red flags (and walk away if you spot them). There’s no doubt that teaching (at any grade level) is a huge challenge. Some people are better suited for this profession than others. The quality and experience of the preschool teachers with whom your child interacts can make a huge difference in their early development. If you come across teachers who react in extreme or emotional ways, keep in mind that this does not serve as a positive model for young students. Rather than yelling or punishing preschool children for bad behavior, the teachers in the preschool classroom should know how to handle challenges calmly and rationally. Overly chaotic classrooms and high turnover rates among staff can also tell you a lot about what to look for in a preschool (and what to stay away from). 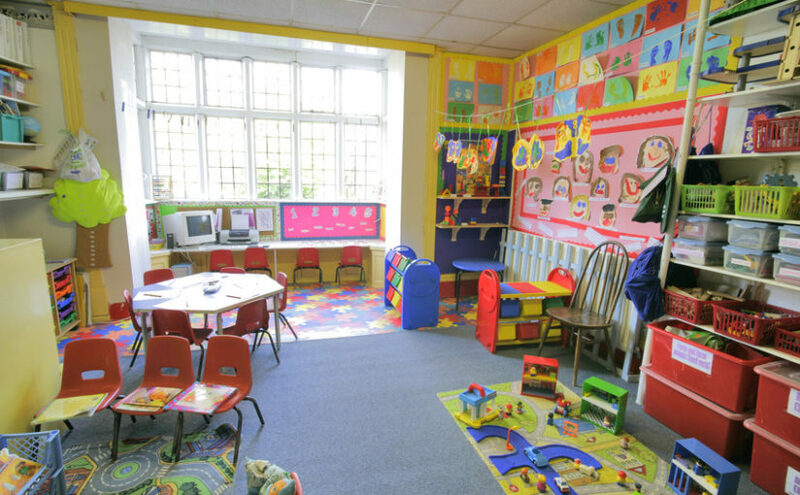 While preschool classrooms are often lively and even noisy, they shouldn’t be disorganized and out of control. And if the teachers seem unhappy or have been known to leave at frequent rates, this is to the detriment of both the students and the school itself. One of the most important things to look for in a preschool program is what the average day is like. There should be a set routine that gives children structure, but the activities and lessons should vary to keep the students’ attention. A lack of consistent routine is a bad sign, as it can make children feel anxious. If children know what to expect on an average day, but can still be introduced to new projects, that’s when young students will thrive. 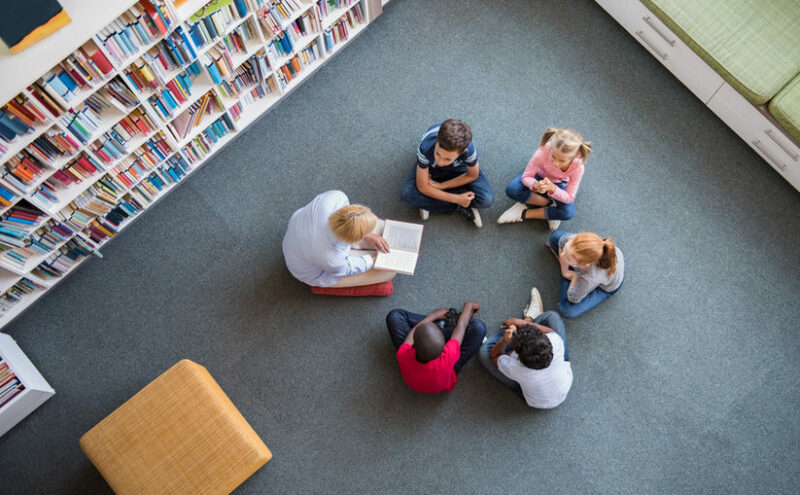 Look for these signs when taking a tour and be sure to ask staff members about the setup of a typical day to assess whether this program is really in your child’s best interests. Knowing what to look for in a preschool can be a challenge for parents. Keep in mind that watching for red flags may be just as important as searching for positive signs. To find out more about how our preschool program can help your kids develop in a variety of ways, please contact us today. 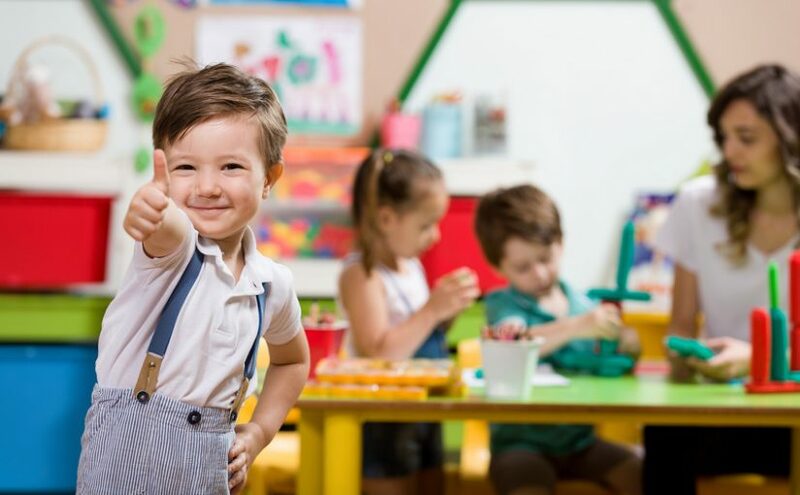 If you’re a working parent or you want to know which childcare option will be in your family’s best interest, you’ve probably considered academic preschool programs in your area. While preschool certainly isn’t your only choice in childcare, it is often the most beneficial. The benefits of preschool have been studied at length — and those benefits have been shown to help children grow in a variety of ways. When you prioritize early childhood education, your child will be more ready for academic challenges in the coming years. They may also experience increased social, emotional, and physical development as a result. And the advantages don’t end there; they’ll also be more prepared for life’s hurdles years down the road. Let’s take a closer look at some of the main advantages that early childhood education will provide for your child. One of the most obvious advantages of attending preschool is the potential for cognitive development. The preschool classroom is typically the first place where new concepts and skills are introduced. Children become acquainted with letters, numbers, sequences, and songs in preschool; they’ll also learn more about the world around them through hands-on lessons. As a result, they’ll become more curious about their surroundings and will develop a hunger for knowledge. The creation of new neural pathways during this critical time will literally lead the way to lifelong learning. As preschool enrollment has increased over the years, researchers have taken note of the positive effect of early childhood education on the skills and understanding of young children. Between 1993 and 2012, the percentage of children ages three to six who were able to recognize all of the letters in the alphabet increased by 17%, while the percentage of those children who were able to count to 20 or higher increased by 16%. Clearly, preschool classes act as the foundation for all subsequent education. When you list all the benefits of preschool programs, the development of the mind will probably pop up first. When you enroll your child in preschool, they’ll also develop their bodies more readily. Many early childhood education programs promote recess and physical education, as well as physical games and other activities that will help your child develop their muscles and coordination. They also participate in dramatic play, which helps their emotional development and aid in their physical development. They’ll also develop their fine motor skills (often through the use of building blocks, finger paint, and other fun pastimes), which will come in handy when it comes time to learn how to write. Prioritizing early childhood education isn’t only about academics. When you enroll your child in preschool, they’ll also have the opportunity to grow socially. They’ll learn how to cooperate and share with others and learn how to solve problems that arise in social situations. They’ll come to understand how to compromise, how to empathize, and how to accept others from all different backgrounds. Their listening skills and leadership skills will be developed during this time, too. Figuring out how to relate to others is a lifelong endeavor, but children can get a head-start when their families opt for an educational program outside the home. We know that preschool is just one of several possible options for early childcare. The preschool classroom serves as more than a means to care for your child; it’s also the place in which your child will start to develop into the person they’ll become. For more information on how our preschool can help your child realize their potential, please contact us today. What Are the Differences Between Preschool and Daycare? Many parents would love nothing more than to completely devote themselves to taking care of their children. However, work situations, other obligations, and even the needs of the children themselves may call for assistance from outside sources. Around 67% of full-time or part-time working mothers enrolled their children in center-based childcare in 2012, so this is a decision that many families are familiar with. If you’re unsure as to which type of childcare situation will be best for your family, we’re here to help. For many families, the question of preschool vs daycare is at the top of their list. What exactly are the differences between these two types of care? Is one inherently better than the other? And what can you expect when enrolling your child? 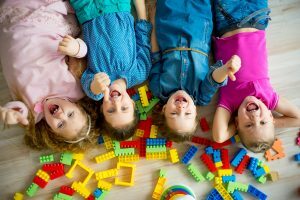 In today’s post, we’ll discuss the main differences between preschool programs and daycare centers to shed some light on which facility will benefit your child most. One factor that will likely play into your decision — particularly if you (and your spouse, if applicable) work outside the home — is the operating hours of each type of facility. Generally, daycare centers are open for longer stretches of time during the day. They also remain open during holidays and summer vacation. They may even be able to accommodate later hours on a daily basis. Most preschools have shorter class sessions, though some do offer extended hours or summertime care. It really depends on the individual facility. The focus of each type of facility is different (which we’ll talk about a little later), so their priorities differ; while daycares focus on accommodating parents’ schedules, preschools tend to stick to specific operating hours for the sake of both students and teachers. Another big difference between preschools and daycare centers is the staff you’ll find there. 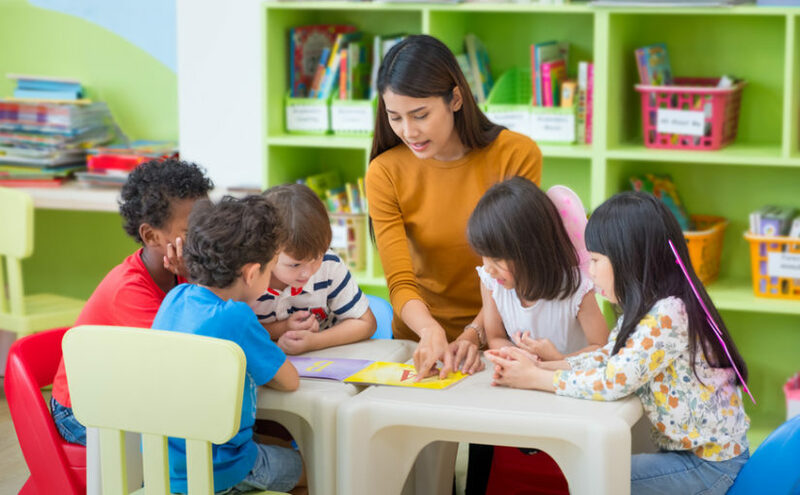 While there are plenty of kind and compassionate employees at daycare facilities, many are not formally or extensively trained in childcare or in early childhood education. Some may be, but others may be hired simply because they’re good with children. That’s not always a bad thing — after all, you probably wouldn’t turn down a babysitting hire because they didn’t have a degree in childhood education. There’s a lot of variety out there. In contrast, preschools usually employ teachers who have some kind of background in early childhood education. Instead of being supervised by someone who can really fill only a nannying role, your child will be watched and taught by those with experience in this field. If you’re weighing your options between preschool vs daycare, it’s essential to consider the two distinct purposes of these facilities. Daycares are meant to provide supervision and some (hopefully) stimulation for the children. Preschools are meant to provide both of those things and an educational introduction. Although some daycare centers will prioritize educational activities, it’s by no means a requirement. The focus of preschool teachers is to help young students develop their skills. Parents should note that there are often very different requirements for preschool than there are for daycare. Daycare facilities will accept children from a very young age. Most facilities will be happy to enroll your toddler and will care for them until they enter elementary school. Some daycare centers will even accept very young infants. That can be a plus for parents who require assistance right away. The requirements for preschool centers are typically more rigid, as most accept students between three and five years of age and often require that they are potty-trained. Again, it depends on the facility — which is why parents must conduct careful research before making a final decision. In the preschool vs daycare debate, there isn’t a one-size-fits-all decision. What works best for your family may not be the choice your neighbor makes for theirs. However, in order to make an informed choice about childcare, it’s essential to understand the differences between your options and determine your own priorities in caring for and educating your children. As a first-time parent, you’re probably feeling an immense amount of pressure to ensure your child receives the best quality care and can take advantage of every possible opportunity that’s afforded to them. These factors come into play early in life when it comes time to choose a childcare option for your family. Choosing between preschool programs, daycare, and in-home childcare can be a challenge — even for more experienced parents! In today’s post, we’ll discuss some important tips to keep in mind when going through this process for the first time. From 1990 to 2013, the percentage of three- to five-year-olds enrolled in preprimary programs increased from 59% to 65%. With so many families wanting to enroll their children in the best local programs, competition can be stiff. That’s one of the reasons why it’s so important to start this process early. With so many factors to consider and so many facilities to evaluate, you’ll probably need more time than you think. Plus, you’ll need to submit your applications with plenty of time to spare so that your family will have options when you really need them. 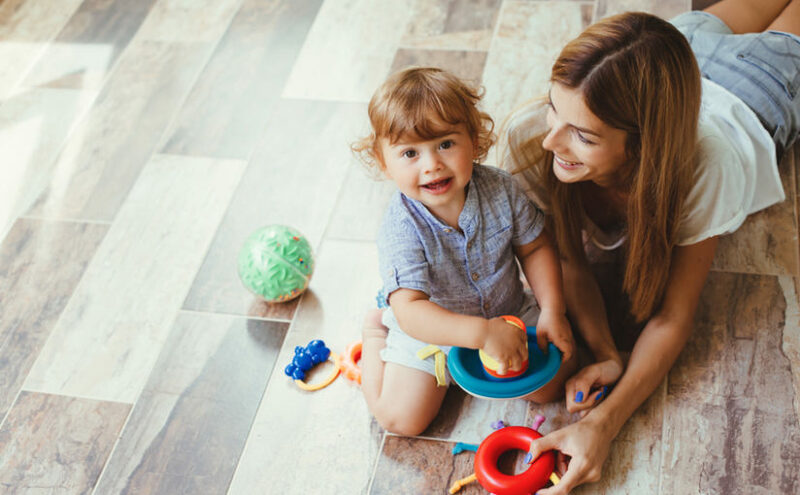 Finances may not be your favorite subject to think about, but it’s an important part of choosing the right childcare situation for your family. Keep in mind that just because a preschool or daycare program is at the top of your price range, that doesn’t mean it’s automatically the best option for your child’s needs. On the other hand, cost should not be your only consideration here. The average cost for care will depend on where you live and the type you choose, but there may be other components that make a difference. You’ll need to determine how much you’re comfortable spending on childcare before you start to really delve in. Sometimes, zeroing in on your childcare budget will illuminate the best choice for your family. But as we mentioned, that shouldn’t be the only factor. You’ll also want to weigh the pros and cons of each type of care situation, as well as the specifics of each facility on your list. This will involve asking a lot of questions and doing a fair amount of research. You may not be able to obtain all of the information you need here, but this can make choosing between several options a lot less overwhelming. If you can cross a certain type of care or some specific options off your list, you’ll feel much more prepared to forge ahead. Another way to make your decision clearer is to talk to your friends who have kids or other community members to hear what they have to say. You can read as many online reviews as you want, but it often helps to hear honest feedback from people you actually know and trust. Learning how other families manage new routines, new expenses, and new environments can make your own decision a bit clearer or make you think differently about an option you dismissed early on. Being armed with the opinions of your friends, relatives, and neighbors who have gone through this experience first-hand can help you feel like you’re not alone. Of course, you’ll also need to check out the final contenders for yourself before enrolling your child. Even if a facility has a stellar reputation, you’ll want to assess the environment to ensure that it meets your standards and that it’ll be a good fit for your child. If you decide on a daycare or preschool, taking a tour can allow you to meet the teachers and learn more about the facility’s philosophies. It can also be a great way to introduce your child to the idea of childcare; this can be a big adjustment for all family members, so the more familiar it is, the better off everyone will be. Choosing the right care scenario for your family can be tough — and as a first-time parent, you’re probably feeling stressed. But as long as you keep these tips in mind, you’ll be able to find the facility or situation that is best for everyone. The end of summer is upon us, and children are going back to their regular school and daycare routines. 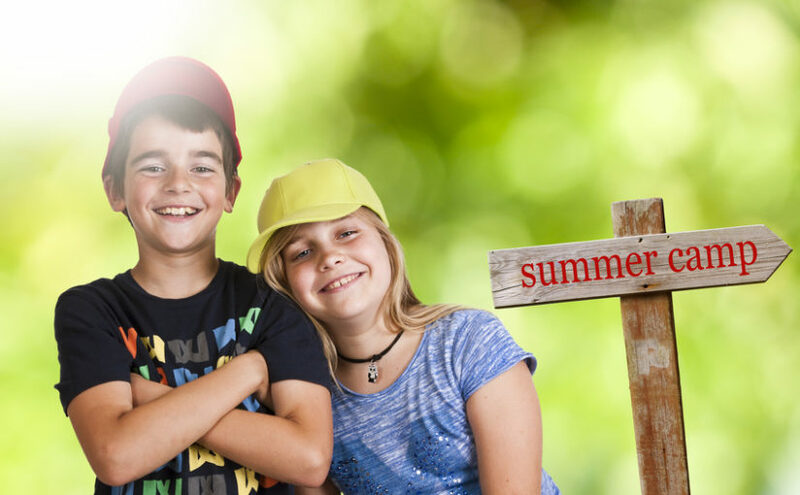 If your child was enrolled in a summer camp, now is the time to reflect on their experience and whether their camp fulfilled your wants and your child’s needs. Consider these criteria — the standards of what a good summer camp program should provide for you and your children. When a summer camp has done their job right, children are wonderfully tired. Their bodies and brains got the right amount of exercise for the day, allowing them to sleep soundly and be ready for new challenges the next day. Just like how the best childcare center curriculums strive to stimulate children, summer camp should not be a boring, loosely-supervised sitter service. A variety of planned activities and events need to be available for kids of all ages to be engaged and stimulated. A creative and knowledgeable summer camp has an inexhaustive list of things for kids to do in summer. Ideally, summer camps should feel like a second home or fun vacation to your child. With the right group, they should feel supported and comfortable. The American Camp Association actually reports that 92% of campers they surveyed said people at their camp helped them to feel good about themselves. Good! Camp should be a confidence-building and relationship-building experience. If issues between children arose, it’s the job of the camp to help resolve them fairly. And absolutely no camp counselor or employee should have made your child feel unusually uncomfortable — that’s a red flag. Things for kids to do in summer camp should not be limited to board games and free play. While free and creative play are essential every day for a child, they also need structure and learning experiences to keep molding their minds even when school isn’t in session. Simple. You should have felt comfortable leaving your child in the care of camp, respected, and in the loop. When choosing a summer camp for next year, have these criteria in mind. Did your previous summer camp not fulfill them? It may be time to look elsewhere.